The scenes of Spanish police attacking voters in the Catalan independence referendum left many shocked at the weekend, and were distressing for Catalonia-born exiles in Liverpool. The highly controversial vote in the region of Spain which includes Barcelona was declared illegal by the Spanish government, who authorised police to stop the independence ballot being held. Violence and chaos followed their intervention, as voters were seen being beaten and dragged from polling stations. 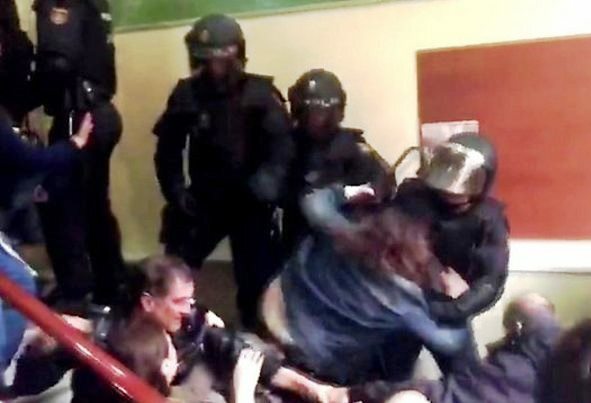 Among those who were horrified to witness the TV images was Laura Jaime Hermoso, a Catalan woman living in Liverpool. She told JMU Journalism: “Personally, I do not want independence, but the thing I am not happy with is how the Spanish government have met with it. “I think that it is not OK to meet with violence something that is our right within the democracy. Laura says she is Spanish and Catalan and is proud to be both, which is why she herself does not back independence, adding: “If the result is cancelled at the end it is OK, because it is an illegal referendum. “But it is a right of everyone to decide what they want and to vote, so I think that the solution is not violence in the way that they have done. Luis said he was also very saddened to watch the police response, but thankful his family were not involved. 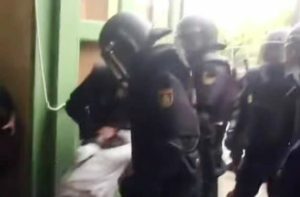 Hundreds of thousands of people have been protesting in Catalonia over the actions of the Spanish police, which left nearly 900 people hurt. The Catalan government has said almost 90% supported independence from Spain in the vote, but official results have not yet been released. In a televised address calling for national unity tonight, Spain’s King Felipe VI condemned the organisers of the referendum for having put themselves “outside the law”.